Tucked away with my love letters to Nintendo have been my ruminations on the possibility of sequels to the JRPG games dubbed the ‘Operation Rainfall‘ three on the Wii U, and the prospect that the Wii U could be known as more of a JRPG heaven than the Wii was. As an fan of the roleplaying genre, the plethora of options that the Wii U controller offers to enrich this type of game even more is an exciting prospect. Xenoblade Chronicles, Pandora’s Tower and The Last Story for the Wii are already out in Japan and Europe, and the USA has Xenoblade with The Last Story expected to come out soon. However, Nintendo have yet to announce a USA release date for the action RPG Pandora’s Tower. These three JRPG titles have become gems in the Wii’s library and have received mostly favourable reviews. But can we expect more like them on Wii U? One of the major Japanese roleplaying game series that we do know is coming to the Wii U is Dragon Quest, although it is coming in the form of a massively multiplayer online game. It has already been noted by MMORPG creators that the Wii U is the first console that could hypothetically run these type of games without compromise due to the screen in the controller allowing easy access to “those rows of hotbars that are essential in most MMOs”. If that isn’t enough, there is also the drool-inducing fact that we are going to get to see those lovely Dragon Quest visuals and characters in HD. Another series that we can realistically hope to see at one point or another in the Wii U’s lifetime is the action RPG Final Fantasy Crystal Chronicles. The spinoff Final Fantasy series first started life on the Nintendo GameCube and has been on the DS, WiiWare and the Wii since. 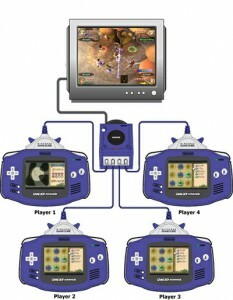 The interesting thing about this series was the first game’s focus on local multiplayer using Gameboy Advances as controllers, where each player had information on their Gameboy’s screen. The full realisation of this with the Wii U where each player has there own touchscreen controller probably won’t come to fruition, but there are fun possibilities to the idea of one player having the map or radar on the Wii U controller while the other players use standard controllers and the TV screen. 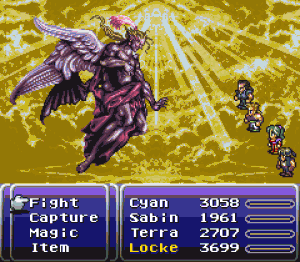 The main Final Fantasy series making a return to Nintendo? Three or four years ago we joked around about developing a Final Fantasy game on the Wii Fit balance board. But after seeing Wii U revealed at Nintendo’s conference, we are now considering the possibilities of bringing the Final Fantasy series to the format. So far, Xenoblade Chronicles has seemed the most likely to receive a sequel that will debut on the Wii U. In June last year, it was revealed that Monolith Soft, the developers behind Xenoblade, were hiring for work on a Wii U title. Nothing is known about Monolith Soft’s first venture into HD gaming but the developers did say they wanted to make a game that would surprise everyone. So far, the only real clues that we have about the game is that they were hiring for an effects designer to make maps and battle effects, and a motion designer to create battle scenes. Though the game is unlikely to be a direct sequel to the Wii title, it’s still be possible that it may be a similar roleplaying game experience. Nintendo recently acknowledged that they had prioritised reaching a wider audience for the Nintendo Wii over providing ‘deep’ experiences for ‘core’ video game players. Satoru Iwata noted that they would not be making this mistake again with the Wii U. In terms of ‘core’ gaming experience,s the Wii U seems to be doing well so far with third-party games such as Assassin’s Creed III, Metro: Last Light and Ninja Gaiden 3: Razor’s Edge all making their way to the console. RPG titles such as the ‘Operation Rainfall’ three will be instrumental in providing deeper engrossing experiences in gameplay, and titles such as these will hopefully also make their way to the Wii U. Even if sequels for these JRPG titles are announced for the Wii U, they may fail to stir up rampant joy in American gamers’ hearts. The initial lack of localisation of these three RPG titles for the USA resulted in the fan campaign ‘Operation Rainfall’ to encourage the localisation of the titles in the USA, which has seen success for all of the games except Pandora’s Tower. The campaign has brought to light criticisms that the Wii was hardly the home of many deep and engrossing JRPGs. Hopefully, this will make Nintendo take note of how much offerings like these mean to their fans. So what are your thoughts? Should I have left this article with the creepy Nintendo love letters where it belongs? Do you think the Wii U needs JRPG titles such as Final Fantasy, Xenoblade Chronicles and The Last Story? Let me know in the comments below. I would be happy if the next Monolith Soft game actually was a new Baten Kaitos. Anyway, as long as we get new quality titles, it is fine for me. But I doubt there will be a sequel to The Last Story. If there is one, it would mean it wasn’t the last story, right? Monolith Soft is making a secret 3DS game, besides Project X Zone. They say it’s a third game in a series, so to me it’s obvious it’ll be Baten Kaitos. As for Wii U, I want a sequel to Xenoblade. Not only would I love a Wii U sequel to Xenoblade, but I think there’s a good chance it could happen. Tetsuya Takahashi said in an interview with Nintendo Power that he always leaves his game open ended in case of a sequel. I won’t spoil anything, but there’s plenty of hints in the game alluding to possibly more from Xenoblade. The world of Xenoblade has unlimited potential and given the amount of praise the game has gotten worldwide and the amazing sales for a “niche” title and I think Nintendo would be stupid not to green light a sequel. Nintendo needs more franchises, and they got one here that could be huge. Put hope for The last Story 2..
Or any new rpg/ip from Mistwalker/Sakaguchi-san. Great article :), main stream Final Fantasy better come to the Wii U. Waiting for a post about Gearbox latest comments. It’s official, “Aliens on Wii U is superior in every way. The system is truly next-gen”. This may be off topic but im praying for a Final Fantasy 7 remake on the 3DS. I hope Final Fantasy doesn’t come to Wii U, but I am looking forward to the other two.